HDFC Bank New Car Loan interest rate starts from 9.25% and HDFC Bank Used Car Loan interest rates starts from 13.00% . These are Fixed rate loans and are one of the best car loan rates in India. Rate of interest vary by borrower occupation, loan amount and loan tenure. Maximum loan amount of up to Rs. 3 crore offered at competitive rates and no hidden charges. Loan amount: Generally banks offer lower interest rates for higher amount. HDFC Bank offers 100% of ex-showroom price of your car. Your Salary: Higher salary bracket individuals are offered loans at lower interest rates. Car Loan interest rate HDFC varies with your net monthly income. Employer Category: Employer category of the borrower is a major deciding factor in order to determine his/her rate of interest. HDFC Bank has a list of company categories of salaried individuals to which they avail vehicle loan. So, higher company category leads to low HDFC car loan rate. Relationship with the Bank: HDFC Bank offers special rates, offers and charges to the existing account holders of the bank. Those who have managed their accounts and made all the payments on time in past will get benefit of low vehicle loan interest rate. Loan Tenure: HDFC Bank vehicle loans are of longer repayment tenure of 7 years. Repayment Capacity: Before giving loan to the borrower, HDFC Bank checks the repayment capacity of the borrower. Bank verifies the repayment capacity of the customer through CIBIL as it has all the details of previous loans taken and their repayments. CIBIL also gives the information of credit card bills payment. The following table depicts the various eligibility criteria for availing a vehicle loan. Age: Age plays an important role to know your eligibility and repayment capacity. HDFC Bank offers auto loan to those who are atleast 21 years old at the time of loan approval and maximum 60 years at the time of loan maturity. Income: HDFC Bank car loan calculator calculates your eligibility based upon your income. Usually bank set minimum levels of income to apply for car loan. HDFC Bank asks for net annual income of minimum Rs. 1.80 lakhs. Job stability and Profession: Job stability is important to improve your status and eligibility for vehicle loan from HDFC Bank. If you are working with a reputed company, probability of getting car loan increases as the income is considered to be more stable and bank offers best HDFC car loan interest to the employees of reputed companies. 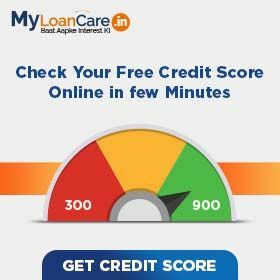 CIBIL Score: Your past CIBIL history and repayment record of existing loans and credit cards has a direct impact on your HDFC Bank car loan eligibility. If you have a poor repayment record, then you may not get the loan but on the other side, a regular repayment record increases your vehicle loan eligibility. Generally, Bank give loan at a CIBIL score of 700 and above. Loan Amount: HDFC auto loan amount depends upon your income. HDFC Bank Bank gives 100% of ex-showroom price depending upon the value of the car. To improve chances of approval, apply for a loan amount that you can comfortably service and check your HDFC car loan status online and avial multiple benefits. Rate of interest is an important factor which affects your EMI. Higher the interest rate, higher will be the EMI. Loan tenure matters equally as longer tenure reduces your monthly EMI per lakh. Your EMI depends upon the amount of loan you are going to borrow. Loan EMI will be high if you apply for a high loan amount. Car loan EMI calculation varies from bank to bank depending upon the method of calculation. The standard convention should be to use the EMI in arrears method on reducing balance basis – whereby you pay interest on the loan amount outstanding on a reducing basis at or after the end of the month. Simply key in the loan amount, rate of interest and vehicle loan tenure here and check the EMI amount using the vehicle loan EMI calculator here. In case the EMI amount displayed is different from the one advised to you by the agent, you must check the calculation basis with your vehicle loan agent. P represents the principal amount that you want to apply for. Let’s say you take out a vehicle loan for Rs. 700,000 to be paid back over 5 years at an interest rate of 9.25%. Your monthly payments for this loan after applying the above formula would be Rs. 14,616 for 5 years. Foreclosure Charges - These charges are to be paid in case you want to repay your entire loan amount before the end of tenure period. HDFC Bank allows prepayment of vehicle loan after paying 1 EMI with prepayment Not allowed for 6 months; 6% fee from 7-12 months, 5% from 13-24 months, 3% after 24 months. Processing Fee - HDFC Bank asks for a processing fee of 0.40% of loan amount. Max. Rs.10,000 with applicable service tax. R.C of Vehicle and Insurance of Car. What is car loan interest rate offered by HDFC ? As per current interest rates, HDFC car loan interest rates are in the range of 9.25 % to 10.00%. What is the lowest EMI per lakh on HDFC Bank car loan? Lowest EMI per lakh is Rs. 1,622 for HDFC Bank for a loan availed at an interest rate of 9.25% and for a tenure of 7 years. What is the maximum tenure of HDFC Bank car loan? You can repay your HDFC Bank car loan in a flexible period of 7 years. How much car loan I can borrow from HDFC Bank? HDFC Bank offers you 100% of ex-showroom price of car as loan. How much processing fee is charged by HDFC Bank on car loan? HDFC Bank charges a processing fee of 0.40% of loan amount Max. Rs. 10,000 with applicable service tax. Is age an eligibility factor to get car loan from HDFC Bank? Yes, age is an important eligibility factor to get HDFC Bank car loan as you should be at least 21 years old at loan approval time and 60 years old at loan maturity time. Are there any prepayment charges on HDFC car loan? You can take car loan from HDFC Bank with prepayment not allowed for 6 months; 6% fee from 7-12 months, 5% from 13-24 months, 3% after 24 months. Can I add my spouse's income while applying for car loan from HDFC Bank ? You can combine your income with the income of your spouse to increase your loan eligibility and to get higher loan amount. One of the leading car loan financiers, HDFC Bank offers 100% financing on select vehicles under its car loan scheme. Currently, the lender is offering an interest rate between 9.25 % to 10.00%. Additionally, the loan applicants can also avail a top up on their existing car loan depending upon their eligibility. One of the leading car loans financiers, HDFC Bank has been voted the ‘Best Managed Company’ in India by investors and analysts in a poll conducted by FinanceAsia. HDFC Bank is followed by TCS and Hindustan Unilever in this category. In addition to this, the bank was also ranked 1st for ‘Best Growth Strategy’ in terms of retail loans including car loans, personal loans and credit cards. One of the leading car loans financiers, HDFC Bank has said that the bank has got no plans to cut down its bank branch expansion. The bank is now focusing more on building a strong technology that will offer convenience to its customers when they come across problems while applying for loans or other banking products like a savings account and opening and fixed deposit account online. Further, the bank has plans to improve its overall banking services and the products offered by them. One of the leading car loans financiers, HDFC Bank offers best car loans along with minimal documentation, attractive interest rates, quick approval, and easy disbursal. The lender offers up to 100% financing (of the ex-showroom price) depending on the vehicle model. The interest rates range between 9.25 % to 10% along with the repayment term of up to 7 years. One of the leading car loan providers, HDFC Bank has posted yet another quarter of strong performance with net profit increasing by 20% backed by solid growth in retail loans portfolio including personal loans and car loans. Additionally, the lender is also planning to strengthen its position in corporate lending by gaining market share from public sector banks while maintaining its leadership position in the retail segment.